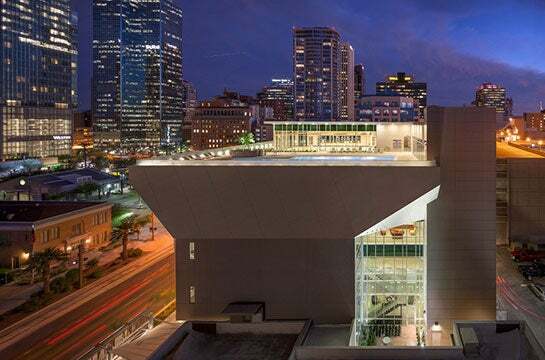 The Sun Devil Fitness Complex at ASU’s Downtown Phoenix location is a five-story, sustainable structure with a minimum of Leadership in Energy and Environmental Design (LEED) silver certification, built in direct response to student demand and feedback. 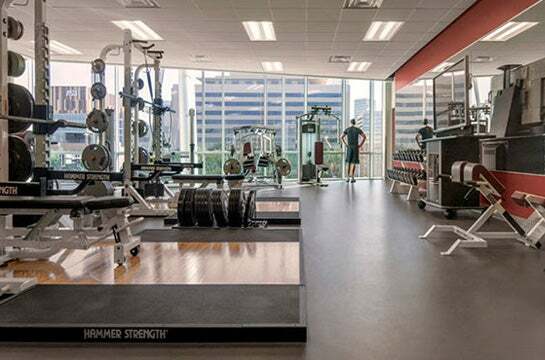 The project features state-of-the-art weight and fitness, three multi-purpose studios for group fitness and mind/body classes, a two-court gymnasium, a rooftop outdoor leisure pool and a multi-purpose area for student clubs to utilize. The new facilities enhance recreation and wellness programming through fitness activities, intramurals, sport clubs, aquatics and drop-in play, which further builds community and supports healthy lifestyles. Three multi-purpose studios for group fitness and mind/body classes. A rooftop outdoor leisure pool. 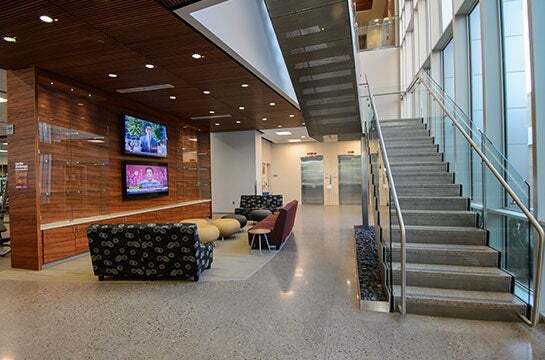 Five-story, sustainable structure with a minimum LEED silver certification.